Offering the best solutions, climate-controlled spaces, and service in Lubbock and Graham! Come see the difference storing with us can make! 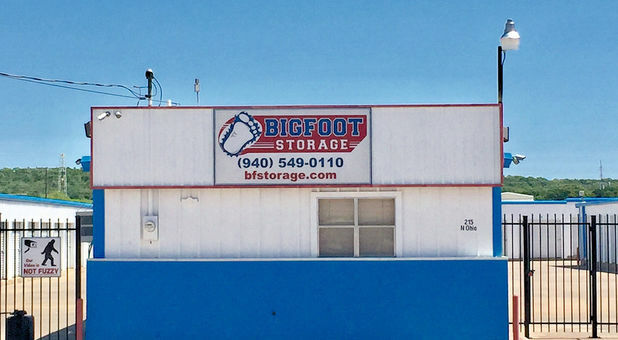 Bigfoot Storage offers multiple storage facilities across the central Texas area. We’re located in Graham and Lubbock, Texas, so we’re perfectly poised to help residents, businesses, students, and members of the military living in and around those areas. If you live in Shallowater, Wolfforth, New Deal, Smyer, Newcastle, Bryson, or Loving, then one of our locations is just minutes away. We even serve students of Texas Tech University and employees working at the Reese Center technology & development park. Take the time to visit one of our properties and get started! Looking to provide the maximum amount of protection to your belongings while in storage? Our climate-controlled storage spaces provide you with a great place to leave your items, ensuring that they won’t be damaged by changes in temperature. These units maintain a comfortable temperature throughout the year, thereby keeping the build-up of protecting your belongings from wide temperature variations. These spaces are perfect for storing just about anything, including documents and furniture, so call us now to inquire about your project. Our team is dedicated to the service and attention to detail we provide to all of our customers. Because we’re a locally owned and operated company, we can provide that personalized customer service you need to have a successful moving day. Plus, many of our amenities make it easier for you to complete your project. Drive-up accessible spaces, online bill pay, moving supplies for sale in our offices, and extended access hours are just a few of our features! Pick up the phone now and get your project started today!